Are you getting married soon? If so, then these 5 ideas can help your Cancun wedding photography stand out on your special day. Obviously, you want to capture the important moments from the ceremony to the first dance. However, it is also fun to take photos of the scenery and use fun props to enhance the images of your wedding day. The following are five wedding ideas to make your Cancun wedding photography amazing. Sparklers are perfect for your guests to hold as you enter the reception. This will make a memorable grand entrance for your photo album and is fun for your guests. You can use scrabble pieces in a variety of ways to add interest to your Cancun photos. Our favorite is incorporating the wedding ring as a replacement for the letter “O” to spell LOVE. We added a little flair and used this idea during an underwater trash the dress session for a WET background. A chalkboard is the perfect accent for a photo of the happy couple. It is one of the best wedding ideas to make your Cancun wedding photography amazing. You can write just about anything on the board for a fun, personalized photo. They are also great accents for the reception or cocktail. Large empty frames can also be used as props in pictures. This is a unique way to capture a great moment during a Cancun wedding. It is also a great juxtaposition to try with photography. These five ideas are easy ways to great wedding ideas to make your Cancun wedding photography amazing. Even better, most of these props are inexpensive and easy to acquire. 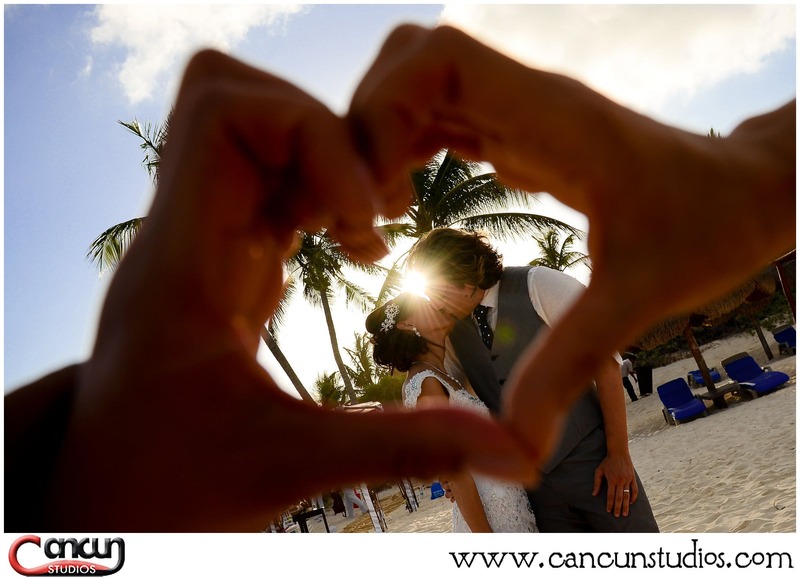 Contact your Cancun wedding photographer today to capture amazing moments during your destination wedding. Where to buy extra long sparklers for wedding in Cancun area?